Our aim is to combine the harmony and musical sound of tube with the accuracy and sovereign power distribution of modern transistor amplifiers. ASR Audio Friedrich Schaefer has attained a very successful and unique position in the high-end audio market since the start of the company in 1980. ASR Audio manufactures integrated amplifiers, preamplifiers, main amplifiers and phono preamplifiers. The company remains loyal to its philosophy to reproduce music as a complete experience. 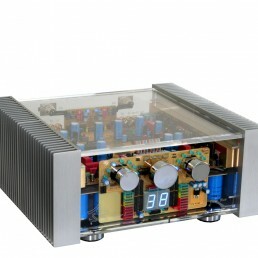 Their amplifier design concepts are completely different to all other integrated amplifier designs. 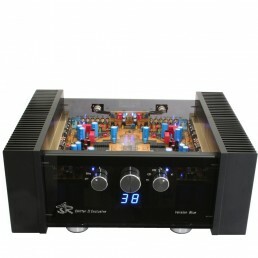 The product is best described as a main amplifier with input selector and volume level control! The amplifiers’ large, high quality transformer power supplies are contained in separate casings. This design eliminates induced power supply electromagnetic fields and vibrations from affecting the amplifier circuitry. This is an essential precondition for a calm, quiet and relaxing sound stage. The power supply circuitry is equipped with a buffering capacity of more than 1,300,000 micro Farads and very fast rectifiers – a necessity for the power supply to remain stable under extreme loading conditions. 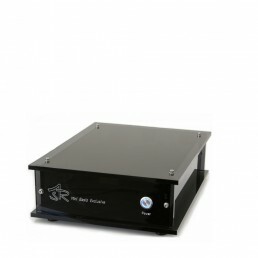 ASR amplifiers are able to drive very low efficiency or low impedance loudspeakers with ample power. 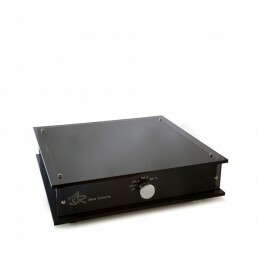 The surround casing of the ASR Emitter amplifiers are produced from acrylic glass. This material is audibly more neutral and smoother-sounding than the usual metal cases. With the energy-saving circuit, the Emitter has full resolution and energy, even at low listening levels; and enough power to drive any loudspeaker at high levels. A high-speed input amplifier stage and MOSFET-driven output stage guarantees a crystal-clear, precise, spatial and smooth sound characteristic. The volume control features a precise relay circuit in 1-dB steps with a 75dB range. All functions of the Emitter can be activated manually or by remote control. Various safety circuits protect the amplifier and loudspeakers against short circuit, overheating, DC output, or excess distortions caused by overdrive or amplifier overload. All units are individually hand-crafted on order only in Herborn, Germany; and may also be specified with various optional extras for enhanced performance.